While people are still enjoying their Google Pixel 2 despite some annoying flaws, many are looking forward to the Google Pixel 3 XL and what it might have to offer as an improvement over this current generation. While there have been rumors that Google plans to release a trio of phones, similar to Apple’s strategy with this current generation, it’s safe to say we can at least expect a Google Pixel 3 and a larger Google Pixel 3 XL. As the name implies, these will be the third generation of Google smartphones, and while the Pixel and Pixel 2 were well-received, it’s still quite apparent that Google is a newcomer to the smartphone industry. With only a few million sales of the Pixel 2 in 2017 compared to the 80 million+ per quarter that Apple shipped, it’s clear that Google has a long way to go until they’re as dominant in hardware as they are in software. Many are hoping that the Google Pixel 3 XL will iron out some of the issues we saw with the first two generations and bring the beloved brand onto equal footing with competitors like Apple and Samsung. 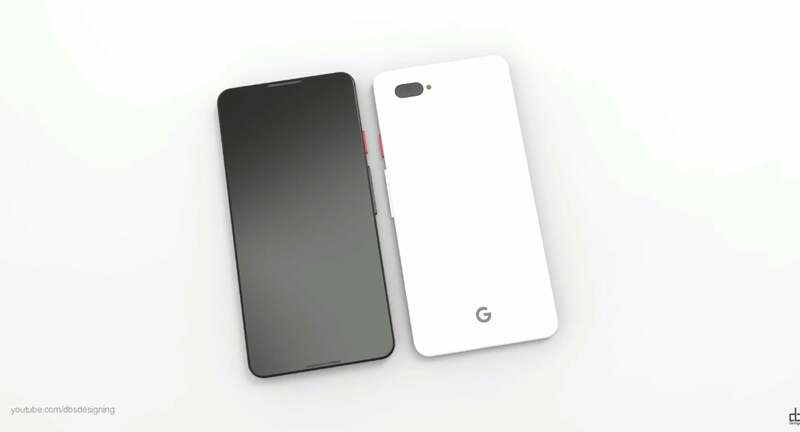 While all we really have to go off of at this point for the Google Pixel 3 XL is a selection of leaks and rumors, we can make some educated guesses on what we might see from the phone in terms of specifications. One of the near-guaranteed specifications we will see with the Google Pixel 3 XL is the Qualcomm Snapdragon 845 processor. Qualcomm is the go-to brand for the majority of Android manufacturers and any phone worth their salt – At least outside of major brands that are using their own proprietary hardware – will be using the latest and greatest form the chip manufacturer. In order to keep up with devices from Samsung and Apple, the Google Pixel 3 XL will need to pack a serious punch – and a top-notch processor is the first way in which they can do so. Backing up that processor will likely be around 6GB of RAM, which will give the Google Pixel 3 XL the horsepower it needs to keep up with its competitors. There’s also a high possibility that the phone will feature the first instance of the new Android operating system – currently code named Android P. While only a fraction of flagships are currently running the current operating system – Android Oreo – Google usually leads the charge with their own software, so we’ll likely see the first instance of this brand new operating system on their own devices. It’s unclear as to what new features will ship with the introduction of Android 9, but we expect some performance tweaks that will lead to a faster operating system overall. The display size of the Google Pixel 3 XL will likely be around 6 inches, which is definitely large but should still be compact enough to use normally. As phones become larger and larger, bezels continue to shrink, suggesting we could see some sort of novel fingerprint scanner implementation rather than the traditional placement that continues to be edged out by shrunken bezels. It’s unclear at this point what exactly that will mean, but considering a lot of other flagships have talked about including an in-display fingerprint scanner, it would make sense that we could see a similar technology implemented on the Google Pixel 3 XL. With a resolution of 2550 x 1920, the screen should be top-notch – although perhaps not to the point of Samsung’s devices. The Pixel devices were largely praised for their excellent cameras, with some going as far as saying that they outclassed Samsung – a company widely renowned for the quality of their cameras and with a new phone focused entirely in photography improvements. We expect something impressive from the Google Pixel 3 XL camera as well, possibly featuring a dual-lens rear camera with a 20 MP and 8 MP setup. Outside of that rumored setup, there’s not much to go off of when it comes to discussing the new phone’s camera. While a large part of how a smartphone camera performs is from the lens itself, software can also make a big difference, and at this point there’s no telling what Google has up their sleeves. While speculating about the specifications of the upcoming device is all well and good, most family ns want to know when exactly they can get their hands on the upcoming Google Pixel 3 XL. We don’t have any guarantees as to a release date as it hasn’t been announced yet, but our anticipation is that the phone will launch sometime around October 2018 given the previous release schedule. This means that we may have a while yet to wait to confirm whether these system specifications of the Google Pixel 3 XL are true, but it will likely be well worth the wait as it’s shaping up to be Google’s most polished release to date. When the Google Pixel 2 had its issues, it’s safe to say that it was a solid improvement over the original Pixel in almost every way. If the Google Pixel 3 XL and subsequent phones continue that trend, we could see a future where the company competes with the complete dominance that Apple and Samsung seem to have on be luxury market. While Google has been developing Android for years, they’ve only recently started developing phones themselves. We’re excited to see what these upcoming phones have in store, as the next couple of releases will likely make or break the tech giant as they try to gain ground in the competitive smartphone arena.